How did your USC education help you as a cinematographer? The USC School of Cinematic Arts provided me numerous opportunities to try out ideas, and to “fail” in a safe environment. We had access to people like Woody Omens, ASC, who provided so much encouragement and positivity to experiment, try things out, and determine our own path. The program had (and continues to have) relationships with working professionals, who provide invaluable insight into the filmmaking process. People like Conrad Hall, Norman Jewison, Carl Franklin, John Schwartzman, John Turturro all came to speak when I attended USC. I had the chance to speak with many of them one on one. But the best and most memorable part of my film education was seeing gorgeous film prints of classic movies every week under the guidance of skilled lecturers/film historians. What is your fondest memory from USC? I think it was pulling all nighters in the editing bullpen with all my peers and friends as we desperately tried to finish our films before deadline. We still cut and spliced on film with upright moviolas. I learned more about the discipline of editing in those 12 hours than I had before or since. How did you get started working as a professional? What was your path? I used a lot of my USC connections to get access to internships with cinematographers, all of whom were instrumental in furthering my film education. They gave an introduction to the basic fundamentals of working on a set and how to be a professional. On the weekends, after my graduation, I continued to shoot graduate thesis films, which I treated as professionally as I could by developing relationships with vendors and crewmembers around LA. I begged them to lend their time and teach me. About a year after graduation, I shot the movie sequences for an early CD-ROM adventure game, then my first feature followed soon after that. Those early experiences laid the foundation for my later career. What is daily life like for a professional DP? When I’m shooting it is very structured. Very early morning starts, where I arrive to set before everyone else (except the teamsters), so I can have time with the set before the chaos descends; thinking about my lighting plan and seeing if it will work in the way I envisioned in prep. A quick breakfast, discussion with the director/AD about the day’s work,then it’s go time. I watch the blocking, plot out the shot with a lens on a viewfinder, set my camera operators in motion, and then begin to work my gaffer and key grip lighting the set. When I’m done, the actors come in and work their magic, and I’m watching intently to see if all the technical elements come together with the performance and the story. Then I repeat the process for the next set-up. 12-14 hours a day. I often have dailies to watch at the end of the day and notes that need sending off to the lab/color timer. It’s an intense and demanding process. You always have to be on. What advice do you have for people aspiring to work in camera and electrical? Learn your craft. Seek out those who have done it and listen to their advice or try to convince them to allow you to spend a day observing what they do. Read manuals. Get your hands on the gear and learn how it works. It’s a great lifestyle, but not for everyone. There’s very little consistency in employment. You are a freelancer. It can make it hard to plan your life, namely vacations, visiting family, etc. It can be physically demanding. You have to learn how to budget your money because you will go from being flush to being broke very quickly if you don’t keep your overhead low. On films like Wonder Woman and Fantastic Four, which both contain numerous amounts of Visual Effects, how does that work with the vision of the DP? What is your collaboration like with the Visual Effects artists? We’re all very much a team. Where I leave off, they pick up and vice-versa. Lighting ideas and camera moves/style that I employ in my photography, they expand upon and play with in their work. We’re in constant communication. Generally, I’ve been fortunate to work with talented and open VFX supervisors/teams, who have been forthcoming with their ideas and have listened to mine. What was your approach for the visual look of Wonder Woman? Mainly, I wanted to contrast the world of Diana’s homeland to the mechanized, gritty world of Man. This contrast in environments drives much of Diana’s story to understanding her role as a hero. Her homeland is paradise, so it was important to feel the sun and the openness of the sea in the photography. We chose a full color palette here: warm, bronzy skin tones with cool blues/greens in the water and grass. For Man’s world we went with a more limited palette, heavy cyans in the day exteriors combined with overcast light, rich blacks and more contrast. 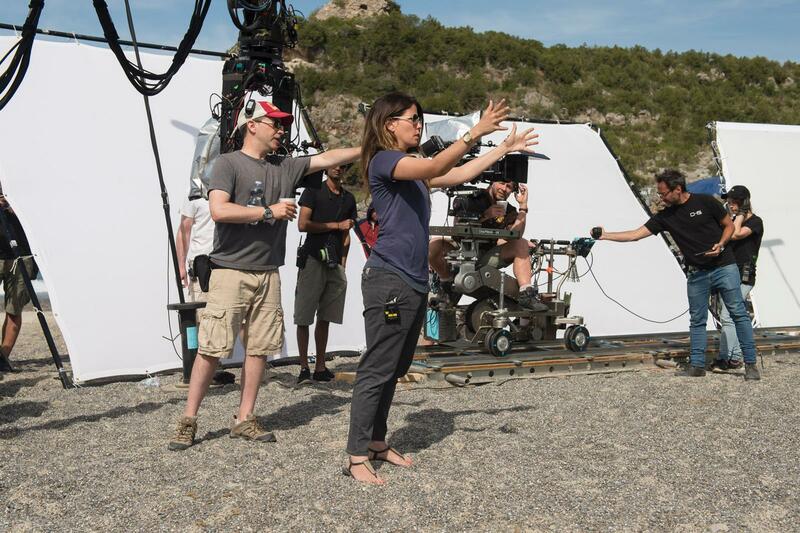 Patty Jenkins and I decided that the camera was going to be firmly rooted in Diana’s experience. We were always trying to keep pace with her. In her fights, we wanted to emphasize her extreme athleticism in a balletic and graceful manner. We chose slow-motion combined with the amazing stunt choreography to put these ideas on display. What was your collaboration like with Wonder Woman director Patty Jenkins? Our collaboration was a close, spirited one. She had tremendous energy and passion for Wonder Woman, yet she also has an openness that allowed me to run with ideas. She inspires, leads, and pulls the best out of all her collaborators. What are some challenges faced in shooting TV vs shooting features? How is it different? The main difference now is purely schedule. You have less time in television. But I’m finding the expectations are just as high. In features, I have a little more time to think about how I’m going to achieve something. What was your experience like on Game of Thrones? I consider myself incredibly lucky to have been a part of such an amazing show. There won’t be anything like it ever after it has ended it’s run. Truly, a unique experience. Don’t get me wrong, the show demands hard work from you, but the rewards are infinite. I think the world of the producers and the show runners. They are very supportive, classy and brilliant people. I don’t say that lightly. It’s uncommon in this business to have that combination of great material and great people all in one place. And the show opened so many doors for me. What do you think is in store for the future of cinematography? I really wish we could freeze where we are right now. There are so many options/choices available to cinematographers right now in terms of format, aspect ratio, resolution, lenses, lighting technology, etc. On the negative side of things, I’m concerned that all this technology is moving too fast. I worry that the cinema-going experience will die. I also worry that we won’t be shooting anything “live” anymore. Everything will be an elaborate VFX animation, particularly as the technology improves for creating faces and life-like movements from “digi-doubles”.